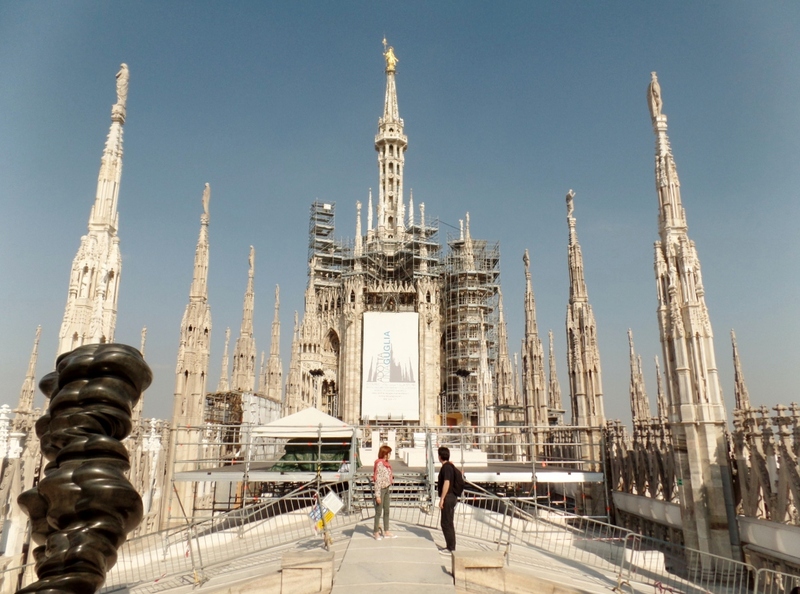 Construction on the Duomo di Milano started in 1386. The largest spire was topped in 1762 with a statue of the Madonna. The last details were not finished until 1965. 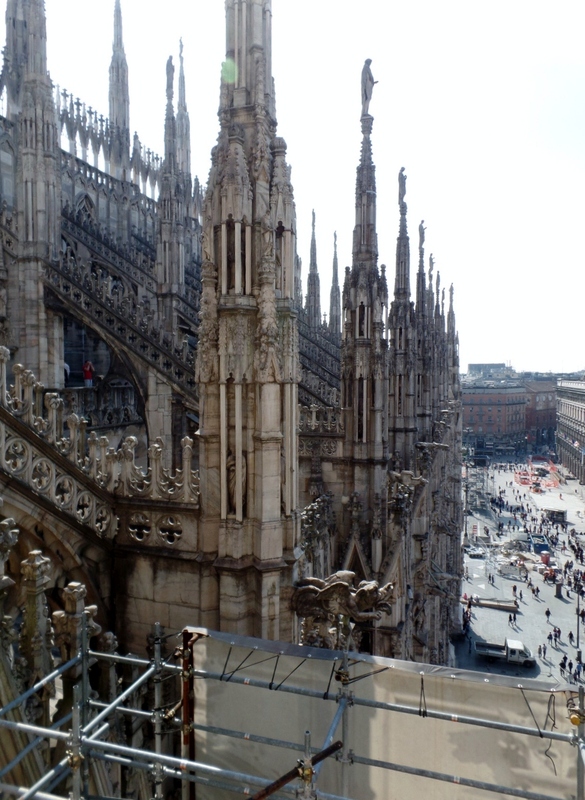 The Duomo di Milano is the second largest Catholic Church in the world. It is the seat of the Archbishop of Milan. 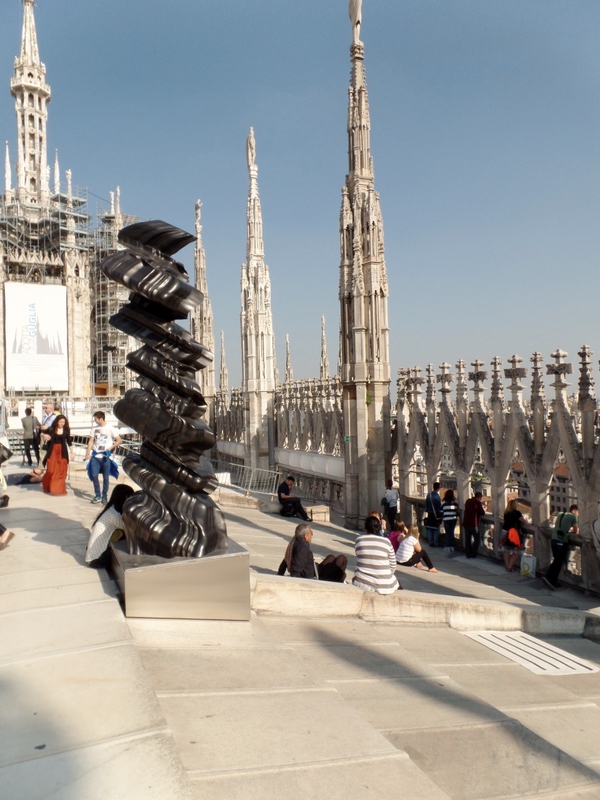 This entry was posted in Travel and tagged churches, Duomo, Italy, Milan, sculpture, travel. Bookmark the permalink. Hi Ken – wonderful photos and write-up. I am forwarding the link to this post to my grandchildren. They are going to Italian Camp for the month of July where they learn the language and the culture. This would fit right in with that. Magnificient! I haven’t seen it live and in person, but wow are these spectacular! Just the number of years it took to achieve is astounding. I think Mark Twain got it right…. It’s beautiful Ken. Except for this, when my husband and I used Milan as a take-off point for that areas travels, we weren’t all that impressed. Sigh. Another big city. Love those pics you have from the top! A number of people told me that before I went but I was surprised how much I liked Milan and wish I had planned more time there. 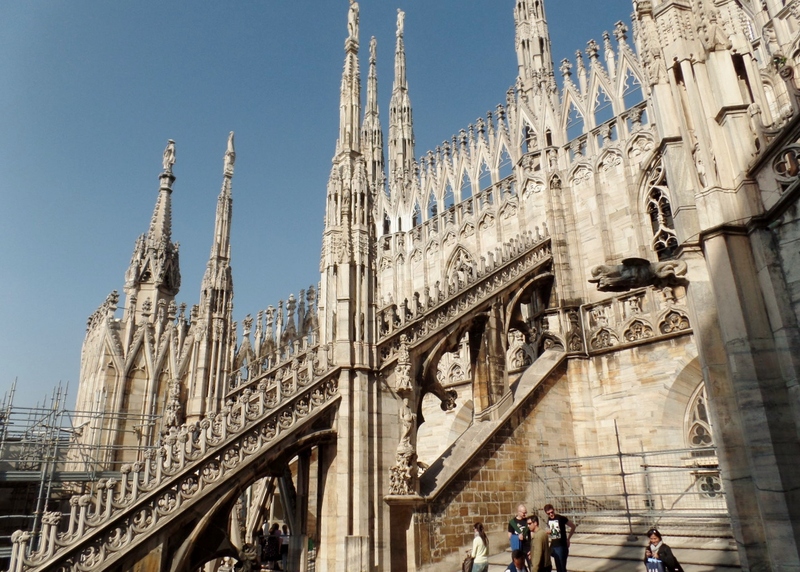 Beautiful photos of the Duomo di Milano. It certainly looks impressive. What beautiful architecture. So many words come to mind; esquisite, grand, splendour – I could go on. Hopefully one day I will have the opportunity to admire this in the flesh. Your photographs will suffice for now though! It is hard to imagine that a structure of such complexity and beauty could even be in the imagination of the architect, especially when the building techniques were so tedious. And no architectural software! I’ve enjoyed reading about such projects by Ken Follett. Thank you for the wonderful images. Duomo di Milano looks lovely. I haven’t been to Milan since I was a kid. Don’t recall if I was ever there. Thanks for sharing your great photos. Great pictures, Ken. I loved having a tour at the top of the Duomo with our friend Lorenzo. He’s an engineer, so was great at spouting out details about the building of it. What an amazing building in an utterly amazing city! 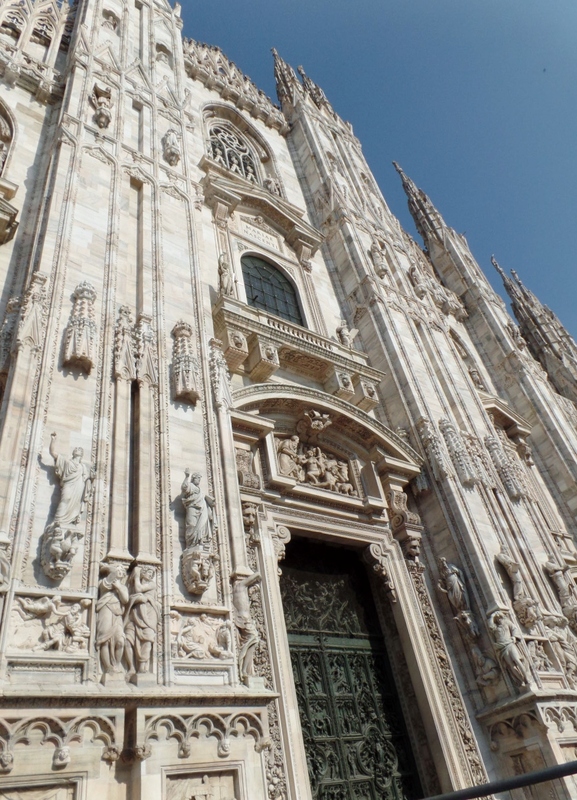 Buildings like Duomo di Milano are amazing. I can’t imagine the amount of intricate work that went into their construction. Thank you for the fabulous pictures. I am assuming the largest is St. Peters Bascilica in Rome? 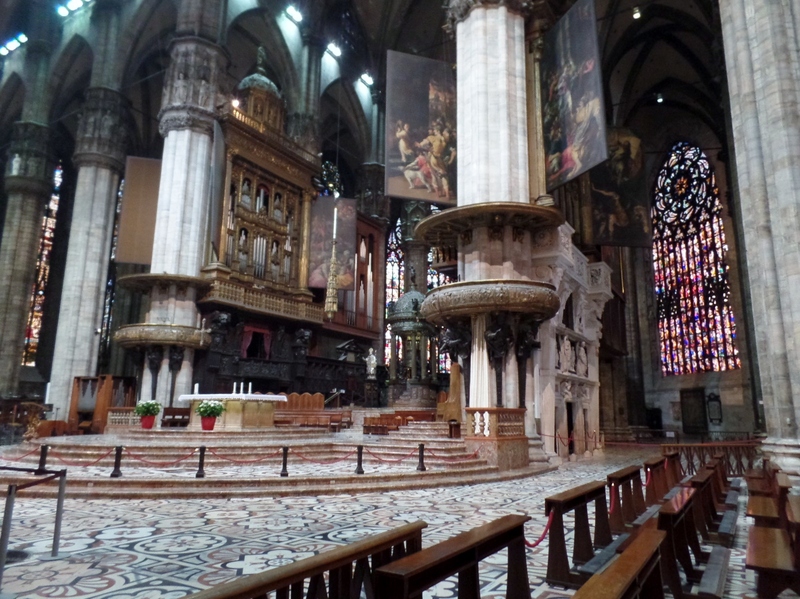 I have not been in the Duomo de Milano but if it like the others then I am sure it inspires awe. Yes. St. Peter’s is the largest. Stunning. But I love visiting old churches when traveling. So interesting. Just to stand there and look at something that was built so long ago, is always amazing to me. So beautiful and so busy! The closet I’ve came to visiting a similar church would be the one in Strausbourg, France. I almost talked myself out of it, but I’m glad I made myself stop even though it was a long and rainy day. After seeing such churches up close and personal, the imagery is grilled into ones eyes and brains for easy recall later down the road. So spectacular! My god, even the images are breath-taking. I read there are 3,159 statues on the building and if stacked they’d be over 3 miles high! Not to belittle the grandeur of the church, but it reminds of a massive sand castle. I don’t know what’s more magnificent, the interior or the exterior. 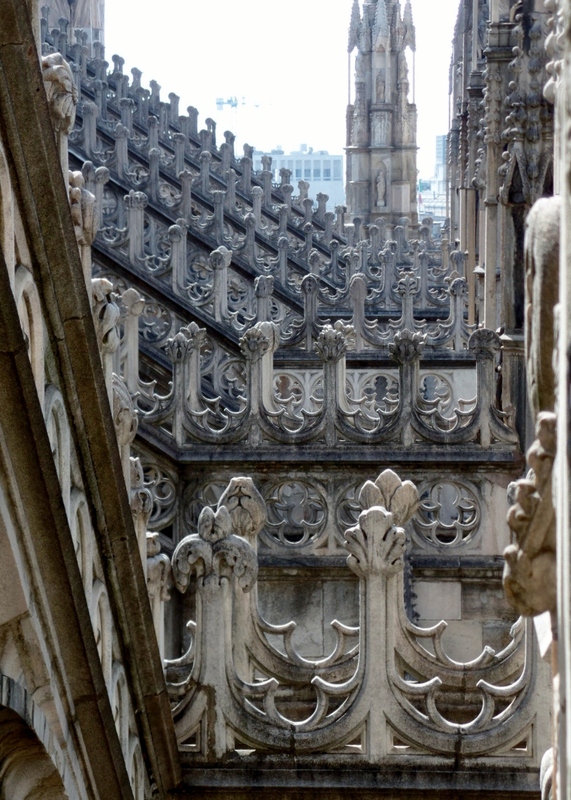 Excellent photos of the Duomo di Milano. What breathtaking photos. I find it amazing what they could accomplish in those days. It truly boggles the mind. You would think it was impossible for them to create such huge magnificent pieces of architecture. I can imagine in another 1,000 years, they will say it was impossible and aliens helped them build it. What I found amazing is the level of detail that went into every inch of the building. Can’t think of any modern comparisons.